In "Numbers and Nerves" (Oregon State UP, 2015), Paul and Scott Slovic, argue that human beings are quickly desensitized by big numbers and often fail to take logical and ethical action when they are presented with numeric evidence. This shortcoming of the human brain is a particular problem today when some of our most urgent global challenges – climate change, species extinction, genocide, and refugee crises, among others – are described by very large or very small numbers that elude human understanding. In a time of politicized science, manufactured controversy, and alternative facts, scholars and teachers need to think anew about how they can present data and evidence, not merely to make compelling arguments, but to persuade people to act in the best interests of humanity and the planet. To that end, this book club will gather scholars and teachers from mathematics, the natural sciences, the social sciences, the humanities, and the arts to talk about numbers, meaning, data, facts, statistics, and ethics. In addition to sessions dedicated to discussion of the book’s chapters, we will plan to schedule a few follow up sessions where faculty who are engaged in writing projects can workshop their manuscripts in an interdisciplinary writing group. Scott Slovic has offered to join one of the sessions via Skype. "White Folks" explores what it means to become white in rural, working-class, Wisconsin by exploring the experiences and stories of eight white people from a small farming community in northern Wisconsin. It examines how white people learn to be ‘white’ and reveals how white racial identity is dependent on people of color – even in situations where white people have little or no contact with racial others. Lensmire creates a portrait of white people that highlights how their relations to people of color and their cultures are seldom simple and are characterized not just by fear and rejection, but also by attraction, envy, and desire. White Folks helps readers recognize the profound ambivalence that has characterized white thinking and feeling in relation to people of color for at least the last two hundred years. Using clear and compelling writing, Lensmire asks white people to confront the violence at the core of white racial selves that has become increasingly visible in American society and politics, but that also illuminates conflicts and complexities there. Tim Lensmire will also be visiting UW-Whitewater for a public reading and discussion of his book March 13-15 and will be attending and facilitating our reading group that week. For nearly two decades, pundits have been predicting the demise of traditional higher education in the United States. In "College Disrupted," Craig suggests that American universities must move higher education to “competency management platforms” and alter their cost models to better reflect what is truly important for student success. Our group will explore Craig’s take on improving higher education within the current context of higher education and determine what possibilities his suggestions may offer UW-W. The AAUP's "Policy Documents and Reports" (widely known as the Redbook because of the color of its cover) presents in convenient format a wide range of policies. The current edition, the eleventh, has been thoroughly updated. Among the eighteen new reports included in this edition are statements on academic freedom and outside speakers, campus sexual assault, the inclusion of faculty on contingent appointments in academic governance, and salary-setting practices that unfairly disadvantage women faculty. The focus of the reading group will be the AAUP's statements on academic freedom, tenure, and due process; academic governance; and time permitting, students' rights and freedoms. 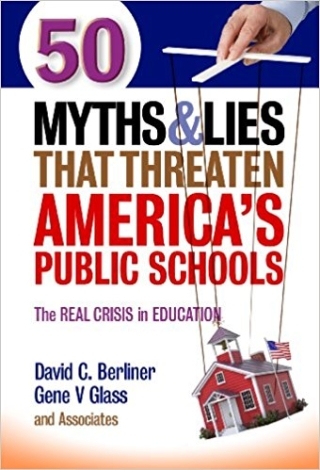 In this comprehensive look at modern education reform, two of the most respected voices in education and a team of young educational scholars use hard-hitting information and a touch of comic relief to separate fact from fiction. Called an “electrifying book!” A mentor par excellence for college faculty and their students! 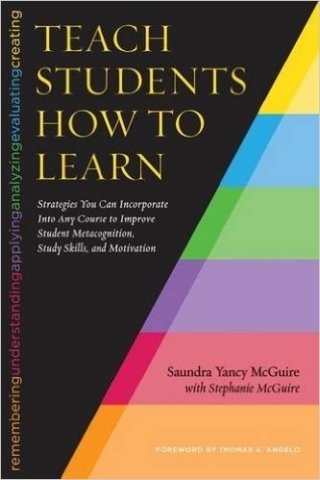 Saundra McGuire is unmatched in her ability to utilize the too often mundane Bloom’s taxonomy to develop powerful learning strategies for student success. “Based on solid scientific and real classroom case studies, McGuire’s workshop on meta-cognition provides the participants with sound pedagogical advice and an impressive array of ready-to-use, results oriented teaching techniques for a twenty-first-century classroom.” Join in this opportunity to discuss strategies for student success. Does the thought of exploring the research on teaching and learning intrigue you? Are you interested in using that research in your teaching? While the answers to those questions are often “yes,” the busy reality of the semester can make the thought of such effort seem a little overwhelming. 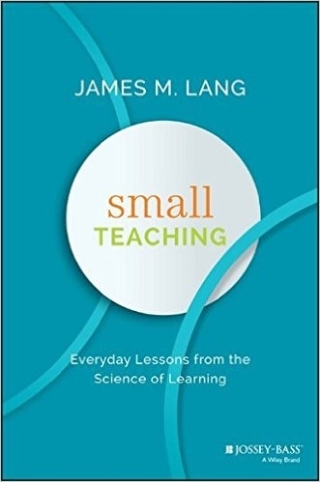 In Small Teaching, James Lang “bridges the gap between research and practice by providing a fully developed strategy for making deliberate, structured, and incremental steps towards tuning into how your students … learn.” Each meeting we’ll read and discuss small changes that you might implement to see greater gains in learning. 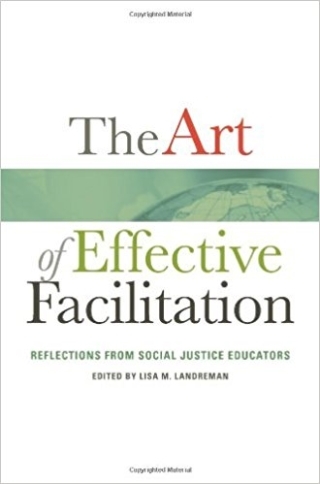 This book examines a social justice pedagogy through theory, facilitation techniques which centers identity, and concludes with supporting students in their social action processes. The book will help members explore this social justice pedagogical approach to facilitating classroom discussion, what it looks like on UWW’s campus, and how we can continue to foster and support a community of educators (faculty, staff, and student leaders).